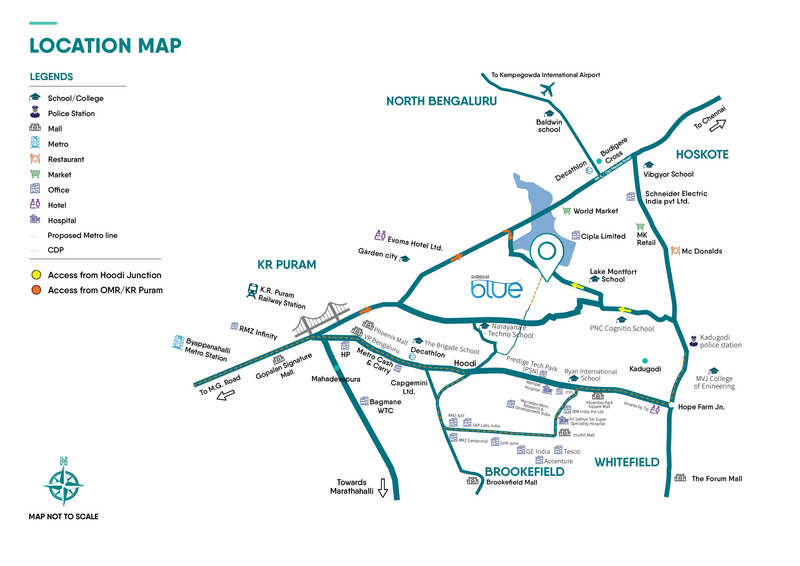 Project is located just 10 mins from Hoodi junction, between Whitefield Hoskote road and Old Madras road. What makes this project unique from others? 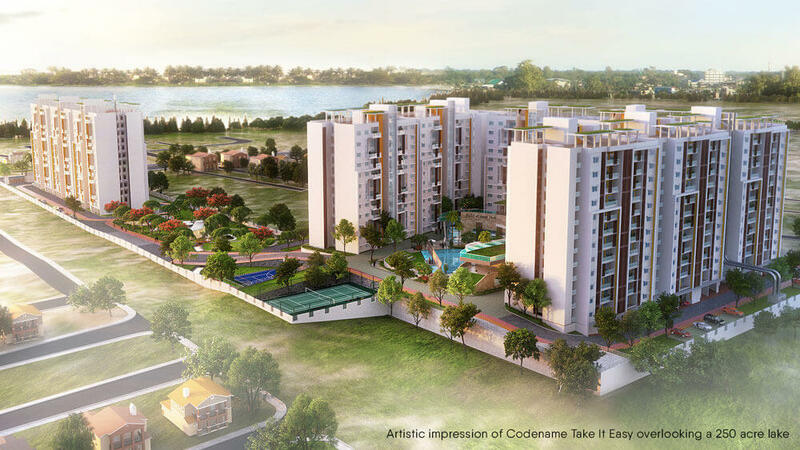 Codename Take It Easy is a residential development that gives you the best of both worlds; a perfect work location and a resort like weekend lifestyle, at a price that keeps your wallet heavy and your heart light. What are the amenities available in Take-it-Easy? 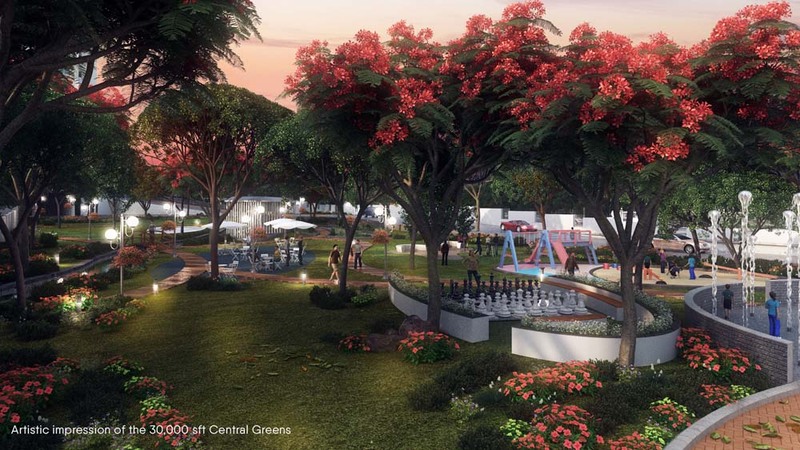 Project is equipped with weekday amenities like swimming pool, gymnasium, kids adventure zone, skating rink etc & Weekend amenities like BBQ pits, hammock zones, sunset deck, tree houses, amphitheatre etc. 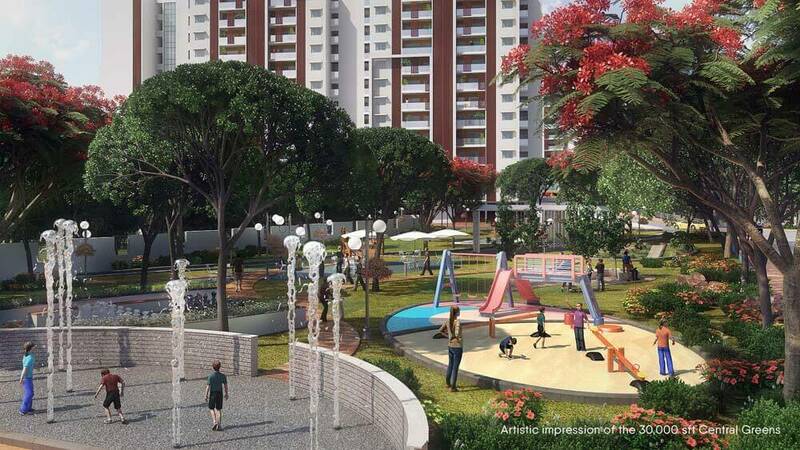 How is the pricing of Take It Easy different from other projects in Whitefield? 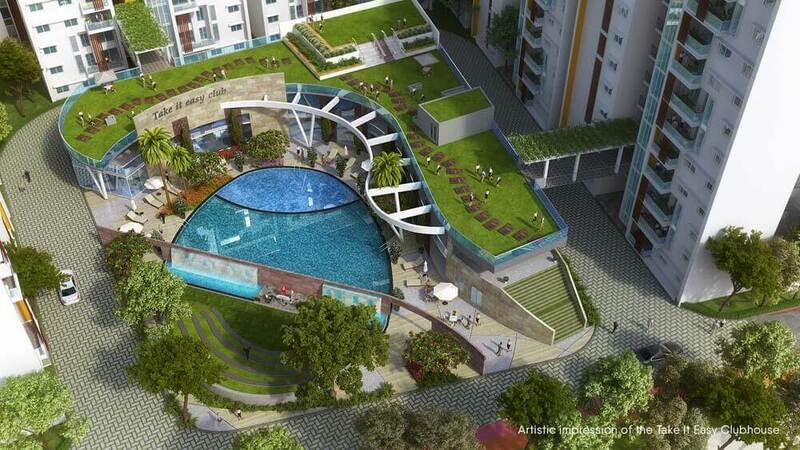 Any typical 2 BHK costs 80 lacs to 1 Cr, 3 BHK would start from 1.25 Cr onwards & Duplex will be easily 2 Cr+. What is the starting price of all configurations? 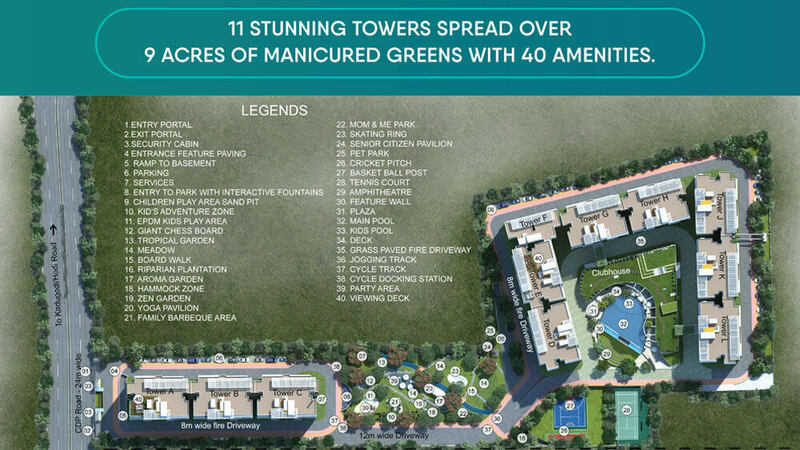 1 Bed condominiums starting 33 lacs, 2 Bed condominiums starting 60 lacs and 3 Bed condominiums starting 75 lacs. What is the procedure to book a unit at Take-it-Easy? Visit our experience centre at on the Tatkal Allotment window - Invitation on first come first serve basis. 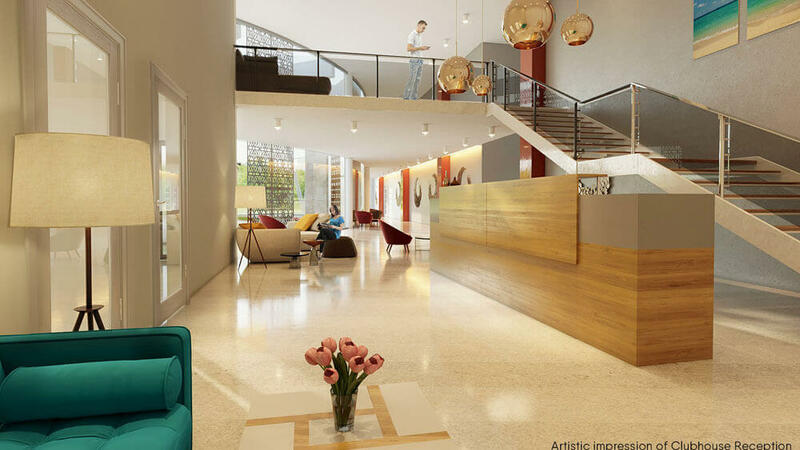 Meet our product specialist & take a tour of our model apartment. Select the inventory of your choice. 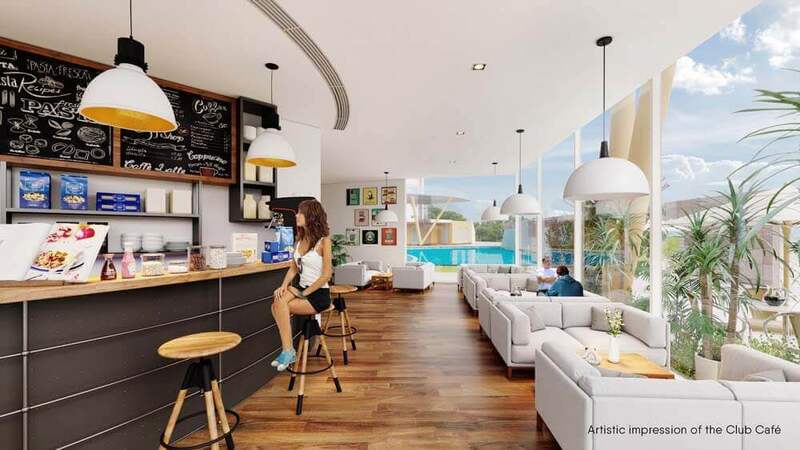 Complete your allotment formalities if you like the apartment. Apply for easy on-line refund if you don't like what you see. How do I get a confirmation for my booking? You will receive a call & an email from our team within 72 hours from our team. You can reach out to 080 40831323 for any queries. What is the approval status? Please reach out to us at 080 40831323 for any queries. Name one place where you get all of these in Whitefield? 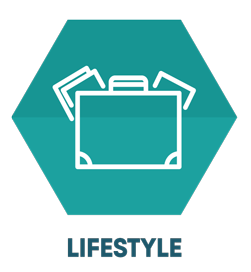 If you go for a branded - property, the price shoots up and if you find your desired location, you compromise with quality of lifestyle. 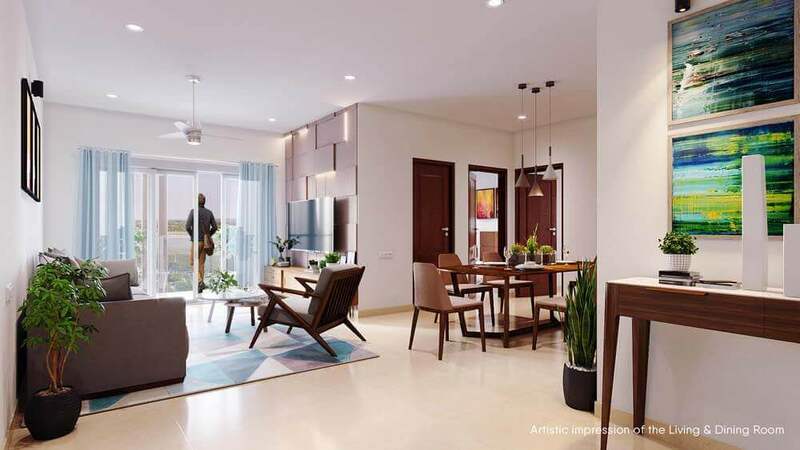 IMAGINE A HOME WHICH OFFERS YOU ALL OF THESE. 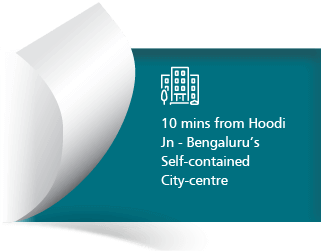 Getting to your workplace has never been easier - 10 mins from Hoodi junction. Resort like living spread over 9 acres. Amenities for both weekdays & weekends. 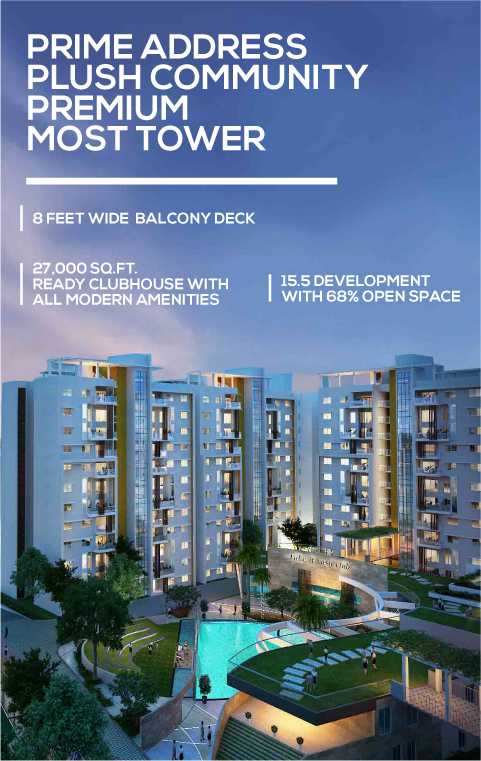 Strategically located in close vicinity to upcoming infrastructural developments. 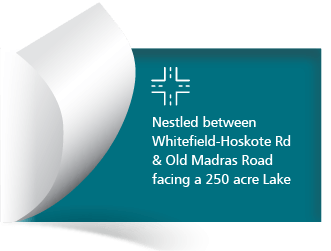 With the fast progressing work of Namma Metro phase 2, one can conveniently access any part of the city. The project will have access to 2 major metro stations – Whitefield and Hoodi. 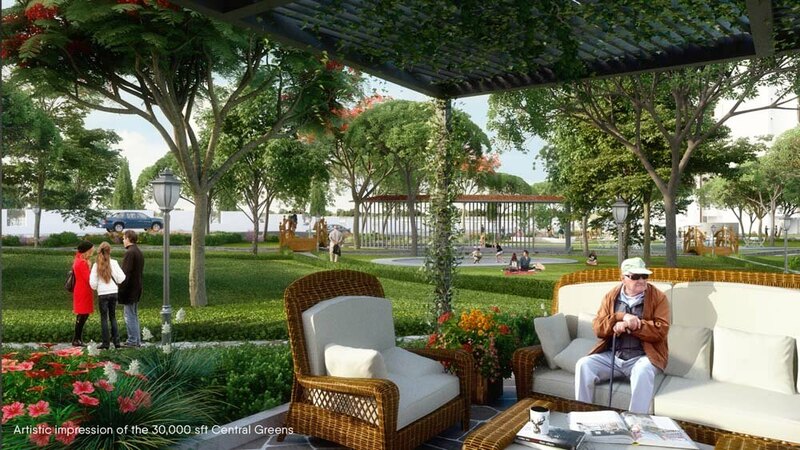 The Peripheral Ring Road which is planned will change the demography of this location and will make it even faster access to all parts of the city. EVERYTHING YOU DREAMT OF DOING ON YOUR SUNDAYS, NOW CAN BE ENJOYED ALL THROUGH THE WEEK. 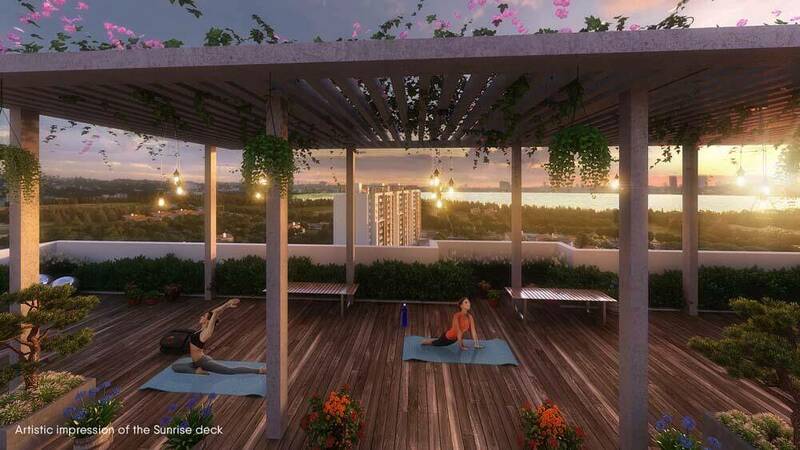 A PROJECT THAT BRINGS TO YOU TRUE BLUE AND NATURAL RECREATION TO NURTURE YOUR MIND, BODY AND SOUL. Description and exact location of Take-it-Easy ? What are the prominent landmarks nearby? What makes this project unique and apart from others? What are the facilities available in Take-it-Easy? 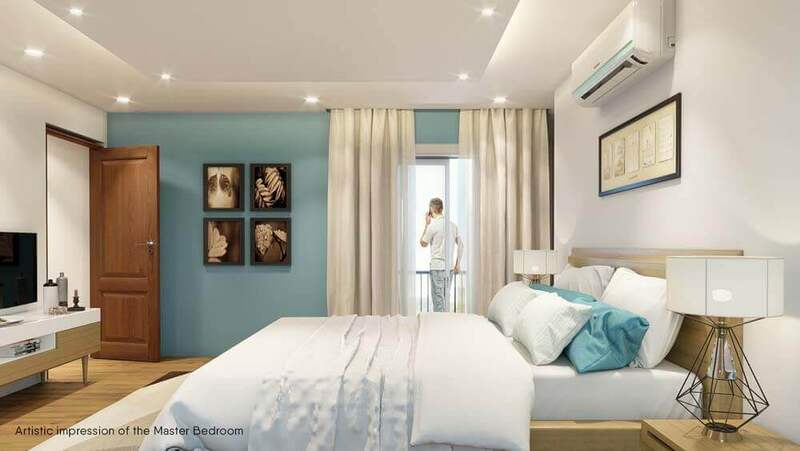 Any difference in the price based on the floor and orientation of apartment? When does the development start? What is the timeline for completion? Are modifications permitted within the units? When do I get confirmation about an allotment? 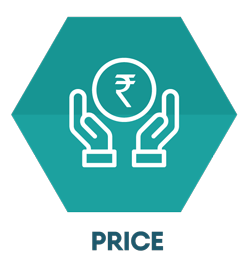 Mode of Payments for instalments and its time bound? Are there any issues with the Title of the project? What are the Agreements that needed to be signed? What is process of Assignment? 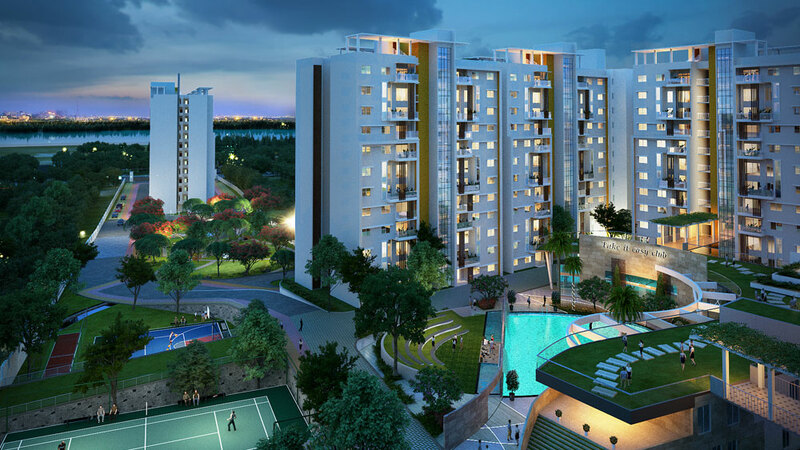 Details about the compensations, if there are any delays in construction and possession? What are the other addition amounts to be paid?